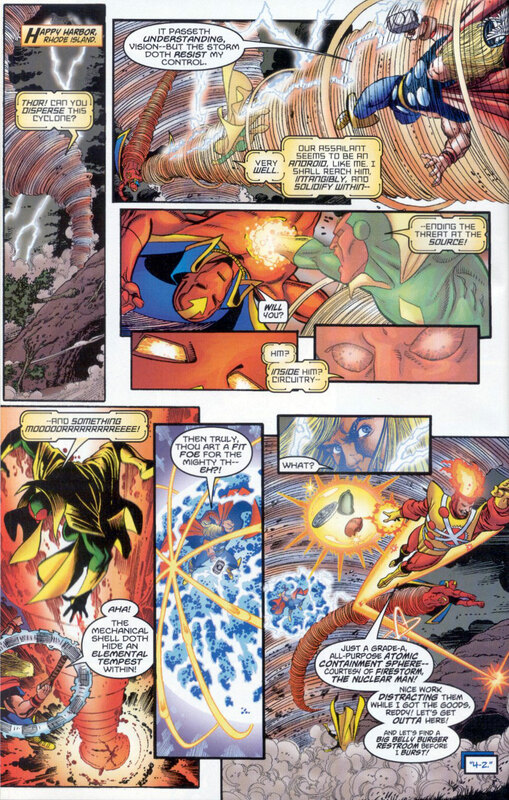 Here is a fun page from Avengers/JLA #2 (2003) by Kurt Busiek and George Perez! Great way to start the New Year! Click to enlarge! Posted in: Comic books, Firestorm #05: Ron solo, George Perez, Justice League of America. I really enjoyed this series and really miss these old Marvel & DC crossovers. I actually have not read the crossover series yet.